Black Panther is finally in theaters and here is our take! After a 9-month advertising campaign from Marvel and Disney, the world was finally ready to see Black Panther. A breakout character from Captain America: Civil War, fans wanted more. After limited release, the film had a coveted 100% on Rotten Tomatoes. After only four days of release, the move made 361 million dollars worldwide and dropped only 3% on RT. Regardless of what you thought of the movie, this has made an impact; culturally ... See More as well as financially. 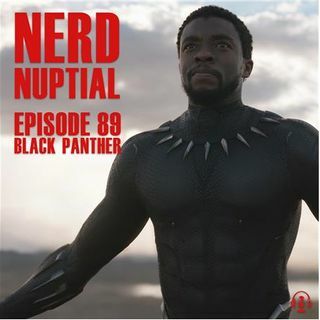 Your favorite Nerd Nuptial is here to take on the King of Wakanda. There is so much to love about this film but did it live up to the hype? Was it even possible to live up to that kind of hype? Listen and find out. ?